There more than a million different insect species in the world, and in various forms they can bite, sting and spread disease … or just be a thorough annoyance. The no obligation phone consultation service applies to both residential and business customers in the South London area. No ant job is too large or too small for us to consider. Where appropriate we are able to advise on any immediate action required to protect your health, property or possessions before a visit. 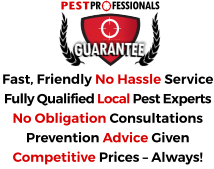 If a visit is needed we let you know if there will be a call out fee and also advise on the likely charges of any ant treatment should it be necessary. The most common ant found in the UK is the Black Ant or garden ant. It is seen in a wide variety of habitats and is common in urban and suburban locations. A heady cocktail of managed grass, flower beds and sun-warmed paving is particularly attractive to the ant. They feed on a wide range of foods and ants living near to property readily come indoors to feed upon food waste. Ants live in nests which are typically located in the soil, frequently under paving stones, in building foundations and occasionally in the cavity walls of buildings. Each nest comprises a queen ant, numerous workers (which are 2mm to 5mm in length and are the most commonly seen), some males and some juveniles. There can be thousands of ants in one nest and a nest can persist for several years. This species of ant generates the flying ant on humid days in summer months, behaviour associated with breeding. Ants can be controlled with a mix of insecticides and gel baits which can only be used by qualified pest controllers. Experience in gaining control over ant colonies is vital to get the most effective results and is something we specialise in. Call now for a free consultation. Not so prevalent is the biting ant, referred to as the red ant, which can often be found under debris or rocks in the garden. More typical in countryside than city environments. Can cause a real problem when the foraging workers come indoors searching out sugary food sources. Swarms when breeding, often in August. Stings readily, producing a reaction much like stinging nettles. Workers about 3.5 mm to 5mm in length. The Pharoah’s ant is a tropical ant species but one that survives in the UK close to heated spots. Nests are often deep-seated. Workers are light yellowish in colour with a darkish abdominal area and a characteristic ‘double waist’. Each nest has many queens. Feeds on human foods like meat, jam, sugar etc. and can be a real problem around food preparation areas. Can swarm at any time of year. A small ant usually under 2mm in length which can be identified from its pale/ semitransparent legs and abdomen. Nests indoors in compact spaces such as wall cavities. Likes moist areas and often discovered under flowerpots in gardens. Feeds on sweet substances. Colonies can have several nesting sites. 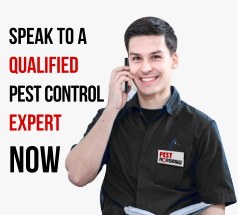 If you need sound advice or fast solutions to problems with ants anywhere in South London or the surrounding Boroughs – speak to us.